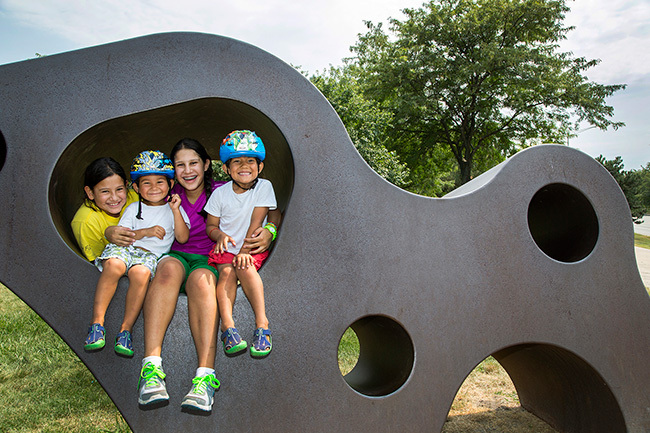 It's finally safe to venture out without bundling up, so take advantage of beautiful spring weather with a visit to the Skokie Northshore Sculpture Park (McCormick Boulevard between Touhy Avenue and Dempster Street, Skokie). This two-mile park features more than 60 sculptures from artists around the world, offering plenty to explore within its four sections. Plus, you can bring your bike or dog on leash, and the park is fully accessible. 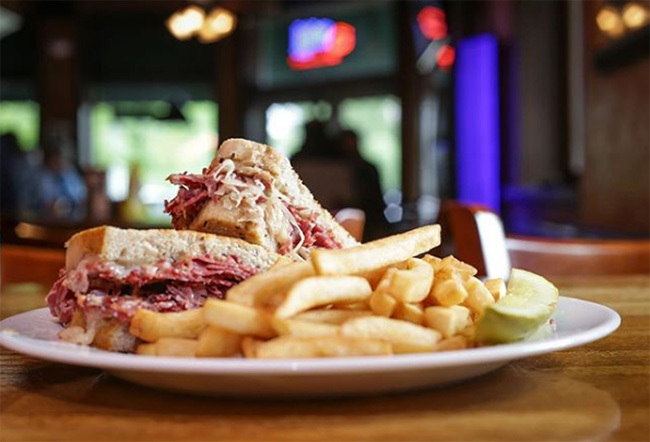 The park also features picnic areas, so before you go, stop by Kaufman's Bagel & Delicatessen (4905 Dempster St., Skokie) for bagels, pastries, salads, or sandwiches like corned beef, pastrami, or turkey that will complete the perfect picnic. If you're looking for a cozy restaurant serving classic comfort food, check out Grandpa's Place (1868 Prairie St., Glenview). Situated conveniently near the Glenview Metra stop, and featuring both a patio for beautiful spring days and couches near the indoor fireplace for rainy spring days, this is a relaxing and inviting spot to enjoy Fish and Chips, an Avocado Burger, Pub Chili, a Reuben sandwich, and more. Once you've had your fill of delicious food, make your way to Historic Wagner Farm (1510 Wagner Road, Glenview) for some family fun on the farm. With 18.6 acres, there's plenty to see and do here — the Heritage Center gives you a chance to view interactive exhibits and both kids and kids at heart can learn about the farm's animals and crops. Wagner Farm also hosts a variety of special events throughout the year, so check the farm's website to see what's coming up next. For another way to explore the great outdoors, visit River Trail Nature Center (3120 Milwaukee Ave., Northbrook), part of the Forest Preserves of Cook County. Here you can make your way through 1.5 miles of walking trails, or learn about local plants and animals with indoor and outdoor exhibits that are perfect for families. The center regularly hosts events, so keep an eye on its website for everything from drop-in days to GPS scavenger hunts. 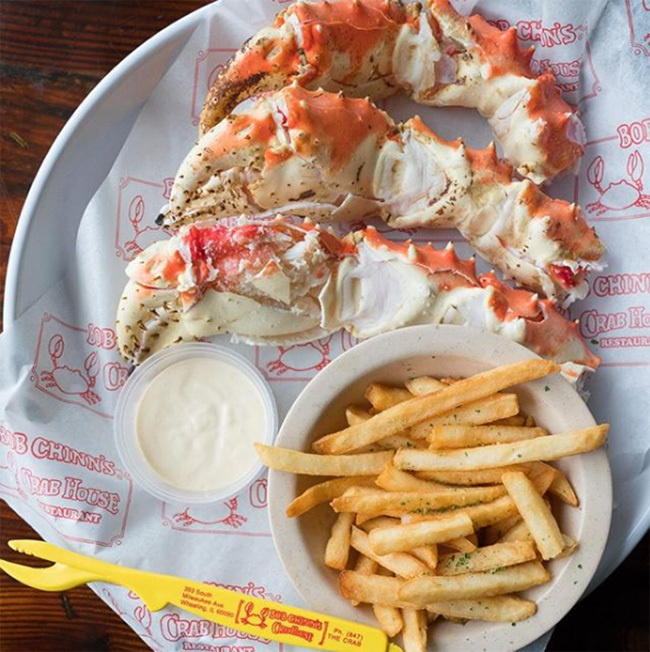 After all that exploring, you're sure to be hungry, so feast at Bob Chinn's Crab House (393 S. Milwaukee Ave., Wheeling). Adults will love fresh seafood like Ahi Tuna, Salmon, or Halibut; Surf & Turf dishes featuring options like Alaskan "Red" King Crab, Fried Shrimp, Lobster Tail, Filet Mignon, and Prime Rib; or other favorites like Seafood Stir Fry, Lobster Pot Pie, and Scallop Cantonese. The kids menu features everything from chicken fingers and cheese pizza to the fried fish sampler and catch of the day. And of course you can't forget desserts like Key Lime Pie, Bread Pudding, and Hawaiian Passion Cheesecake. If you have a long day ahead, start on the right foot with breakfast at Great Harvest Bread Co. (2126 Central St., Evanston). The name of the game here is delicious bread made with whole grain flour that's milled fresh every day, so a breakfast sandwich paired with a hot coffee is the way to go. Great Harvest Bread Co. also serves lunch, including both hot and cold sandwich options (because seriously, you have to try this bread), and be sure to order a scone, cinnamon roll, or other treat to enjoy later. You can also call ahead to find out what gluten-free goodies are available that day. 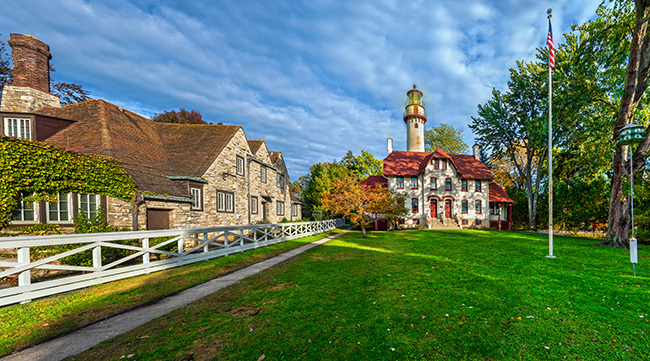 When you're done, be sure to check out Grosse Point Lighthouse (2600 Sheridan Road, Evanston). Built in 1873, this lighthouse is now a National Landmark and the grounds surrounding it are open year-round to visitors for free. If you want to climb the 141 steps that will take you to the top of the lighthouse, where you'll find stunning views of Lake Michigan, tours are available from mid-May to September for adults and children eight and older. A trip to Wrigley Field should be on everyone's spring bucket list, and it's an easy trip to Wrigleyville from Chicago's North Shore thanks to the “L.” The Purple Line has multiple stations in Evanston, so stay here and hit up FEW Spirits (918 Chicago Ave., Evanston) before the game. 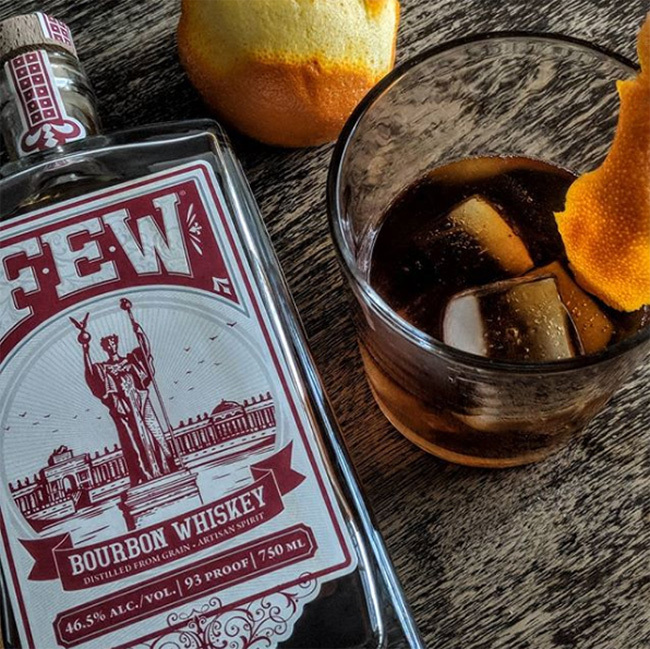 This distillery produces spirits like Single Malt Whisky, Breakfast Gin, and Bourbon Whiskey, which you can try at the Tasting Room Wednesdays-Fridays from 2-6:30 p.m. You can also take a tour of the distillery Wednesdays-Sundays. For food, visit The Lucky Platter (514 Main St., Evanston), which gets creative with comfort food. A popular brunch spot, you'll find dishes like Fried Green Tomato Benedict, Swedish Pancakes, Cinnamon Raisin French Toast, and Greek Omelette to start your day, or stop by later for The Gouda Burger, Mexican Polenta, Barbecue Pulled Pork Sandwich, Chicken Pot Pie, or build your own pizza. This entry was posted in Attractions, Dining, Neighborhoods, Outdoors, Sports, and tagged #flythew, Chicago Cubs, Chicago Day Trip Ideas, Chicago Day Trips, Chicago North Shore Restaurants, Chicago North Shore, Chicago's North Shore, Day Trip Ideas, Dining On Chicago's North Shore, Downtown Evanston, Evanston Restaurants, Evanston, Glenview, Illinois, North Shore Chicago, North Shore Dining, North Shore, Northbrook, Restaurants On Chicago's North Shore, Restaurants, Skokie Northshore Sculpture Park, Skokie, Spring On Chicago's North Shore, Spring On The North Shore, Staycation, Things To Do On The North Shore, Things To Do, Wheeling, on April 4, 2019.